The U.S. Air Force has awarded Harris Corporation a five-year, $130 million ceiling, single-award IDIQ contract to develop and deliver Hand Held Video Data Link (HH-VDL) radios that will significantly increase situational awareness and connectivity for warfighters. The new Harris HH VDL radio will securely deliver data to and from multiple airborne assets – creating an expanded, mobile communications network. This enables real-time intelligence, surveillance and reconnaissance (ISR) information – such as full-motion video – to be distributed from the air to warfighters on the ground. HH VDL radios will replace existing incumbent ground ISR terminals operating at the tactical edge of the battlespace, providing increased capability in a more mobile solution. The radios will leverage next-generation, proven Harris technology via Bandwidth Efficient Common Data Link (BE CDL) – a communications waveform that enables secure, real-time distribution of time-critical data and full-motion video. Additionally, the HH VDL radio will be fully Cryptographic Modernization Initiative (CMI) compliant. 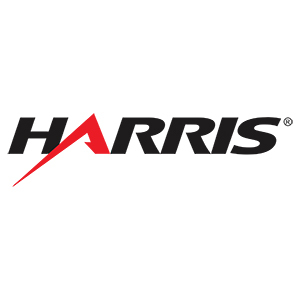 Harris has been a mission partner with the U.S. Air Force for 70 years – from inception of the Minuteman program to electronic warfare for the first B-52s and electronics for today’s F-35 fighter. The company is committed to ensuring the Air Force’s success in operations across any domain through the integration of air, space and cyber assets.